﻿ Book Bar-B-Barn Beach Hotel (Negril) - 2019 PRICES FROM $119! Surrounding by tropical gardens, Bar-B-Barn Beach Hotel has a beautiful setting on Negril’s famous 7-Mile Beach. It features bright rooms, 2 restaurants and live entertainment. The Continental breakfast is included in all room rates. Each colourful room at Bar-B-Barn Beach Hotel opens onto a balcony. 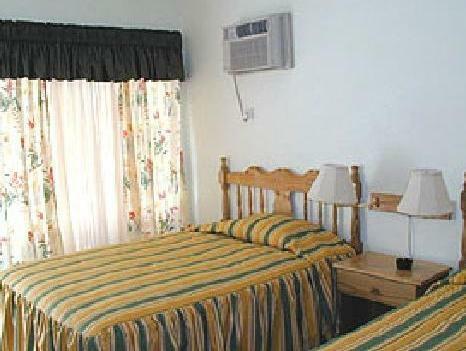 All air-conditioned rooms have free Wi-Fi, a TV and a private bathroom. You can also make use of beach towels and chairs. You can enjoy Caribbean and international dishes in the Bar-B-Barn’s main restaurant, while the beach-front Angela’s Italian serves traditional pizza and pasta. You can also enjoy the on-site art gallery or choose to go out and have fun on Jet Ski's. Kool Runnings Water Park and Royal Palm Pointe Park are within 6 km of the Bar-B-Barn. Orange Bay is a 15-minute drive from the hotel, while Montego Bay and its airport can be reached in just over an hour by car. Please note the front desk is open from 07.00 until 23.00. Please note that guests are required to present their passport or driving licence upon check-in. Rates are based on double occupancy. There is an extra person fee of USD 30 per person, per night for each additional guest over the age of 12, after the first two adults, collected at check-in."